Have you ever seen a huge field of sunflowers in bloom at different times of the day? Have you noticed how the heads of the flowers follow the path of the sun during the day? How amazing it is to see all the sunflower faces turned at the same angle, pointing toward the sun. Deep in the heart of Provence, Fall French sunflowers always keep their faces turned toward the sun, rotating their heads all during the day. Could that be why they are named sunflower? Until visiting Provence, I had never noticed that all sunflowers in a field faced whatever direction the sun was in the sky. It was beguiling to see field after field after field of sunflowers all turned the same direction toward the sun. Back home in Texas, I looked at the sunflower fields with new eyes, marveling once again at how all the flower heads were facing the sun. When I began thinking of decorating for Fall this year to be part of the Fall In Love With Texas blog tour that is still going on, I remembered that Elliott-Heath Designs had absolutely gorgeous pillows with sunflowers on them. 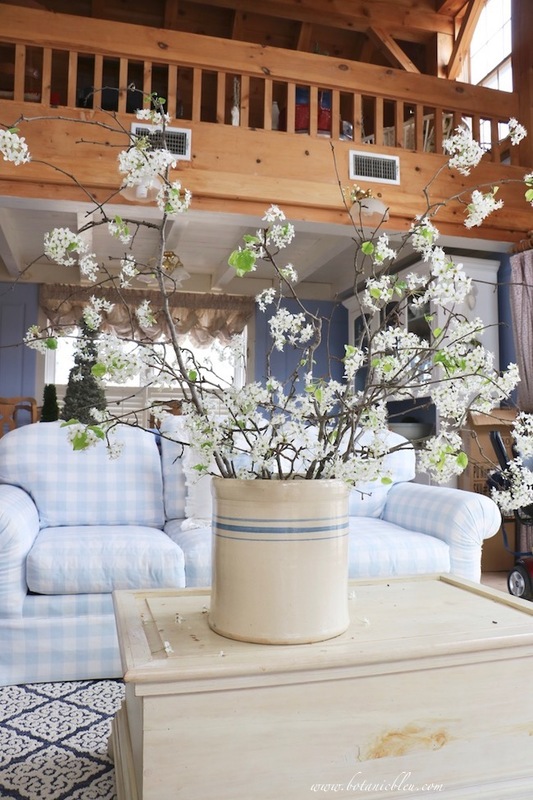 Being part of a Fall home tour means I try to have something special for readers to see. 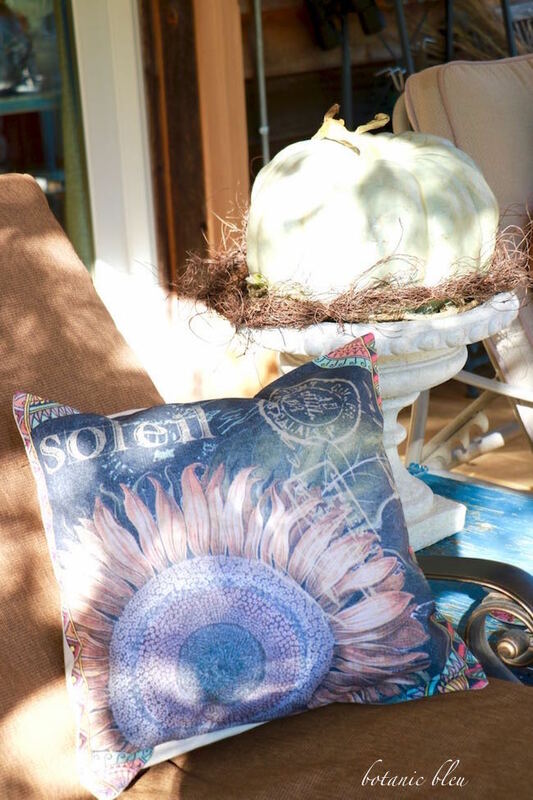 Plus, I had been eyeing a French-inspired sunflower pillow from Elliott-Heath Designs already. You saw two different Fall French sunflower pillows on French Fall 5 Ways to Get the Look, and I think they are STUNNING! If you are looking for ways to include French Country in your decor, these pillows are one way to get the look. If you like more of an American Farmhouse style, these pillows will still work for you since sunflowers are symbols of Fall right here all across the USA. 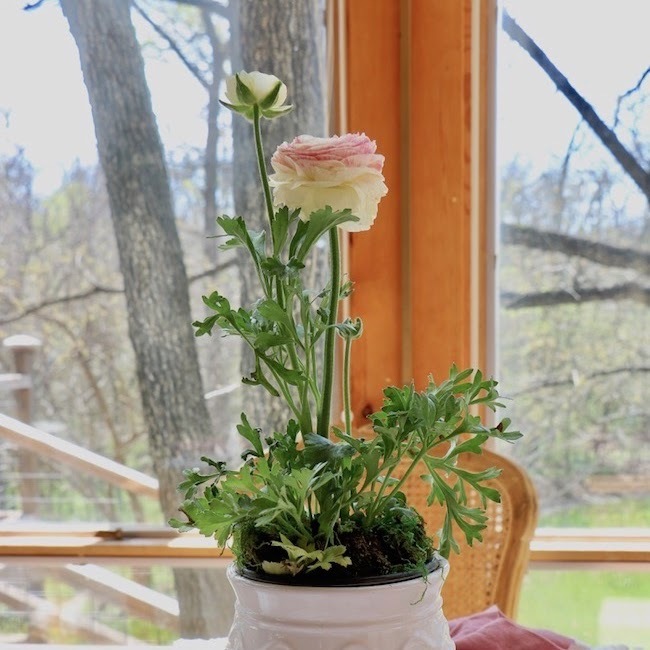 Today, Botanic Bleu is excited to be working with Elliott-Heath Designs for a GIVEAWAY. 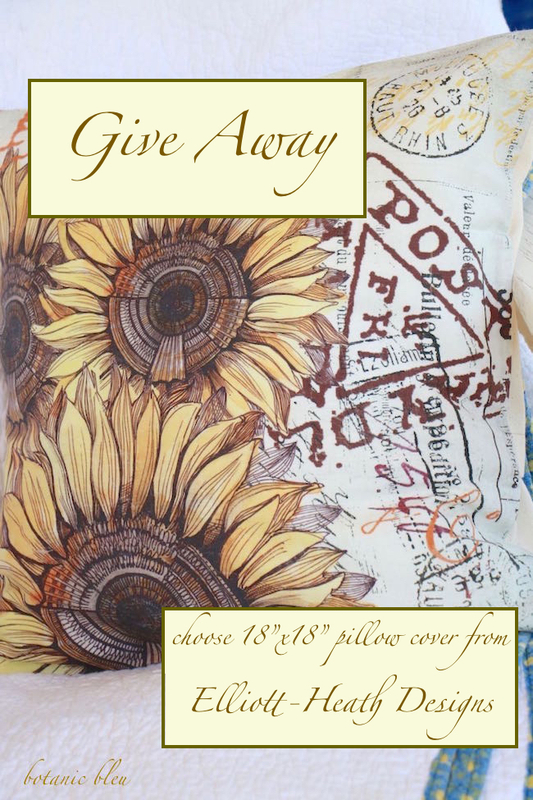 Heather at Elliott-Heath Designs sent me a sunflower pillow cover to review and to keep, and she is giving one pillow cover (18"x18") to one of my readers in a random drawing explained at the bottom of the post. While I received a pillow cover free of charge, all of my opinions are my own. The complimentary pillow cover confirmed my previous excellent experience with Elliott-Heath Designs pillow covers. Two Christmases ago, I found Elliott-Heath Designs and fell in love with the Christmas pillows. I bought two of them, one with a red-and-white design of a barn and silo for my sister-in-law who farms, and one with a French Santa for myself. Do you Christmas shop like that? One for you; one for me. When I visited my brother and sister-in-law this summer, there on the sofa was the pillow cover I had given my sister-in-law for Christmas two years ago. Still looking beautiful... Since the pattern was of a barn and silo, the pillow works all year, not just at Christmas. The red silo roof and wintry look of the pillow also makes the pillow look Christmas-y, especially when paired with other holiday themed pillows. 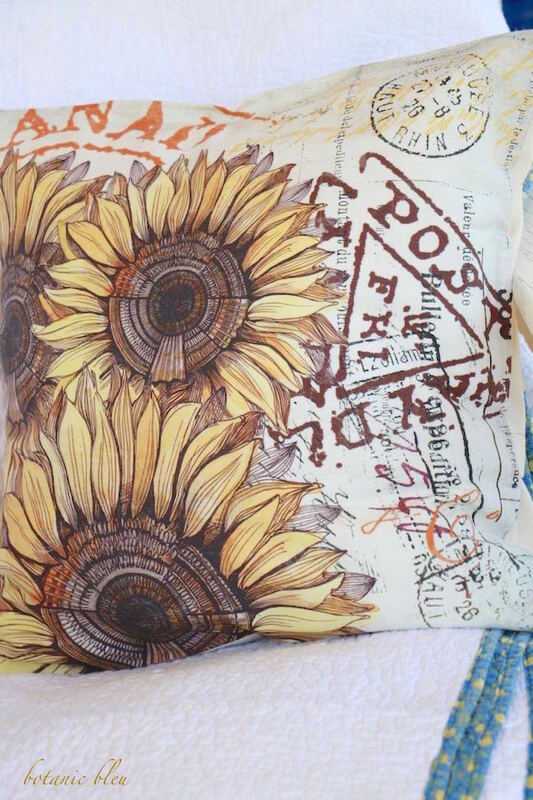 Finding beautiful sunflower pillows with French script and postal cancellations are perfect pillows for my house. I love the look, and I love how they are made. The front is 100% cotton, printed using commercial-grade ink making the pattern vibrant and durable. I chose the natural-colored canvas cloth as my pillow back, and there are two more options. An envelope opening makes changing pillow covers so easy. Plus, the colors are versatile enough to use with a variety of colors and styles of furniture. 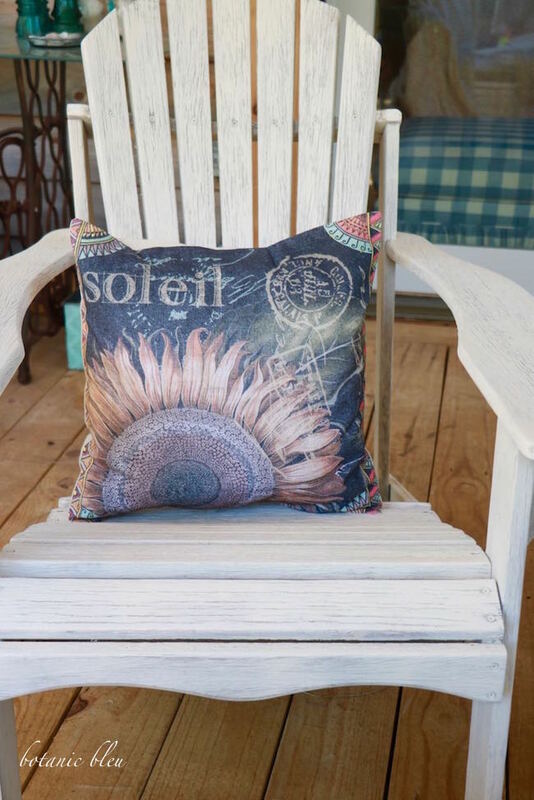 The soleil (sun) pillow adds color to the white Adirondack chair, but also works with my chaise lounge with a brown cushion. Colors are hard to show on a website, and colors look different depending upon the light. The above photo was taken in late afternoon with sunlight streaming in. I am so happy that one of my readers will win an Elliott-Heath Design pillow. They are top-of-the-line patterns and construction. Visit Elliott-Heath Designs to see all of Heather's wonderful designs and colors. There are so many I would like to have, I have a hard time choosing my favorite. And, there is sure to be a pattern and color that you will love for your house, whatever your style may be. Just as an example, Elliott-Heath Designs has 15 sunflower design options. Overall, there are almost 500 total options for all seasons, holidays, and for general decor. Ready to enter to win a pillow cover (18"x18") of your choice? Of course, you may want to buy a pillow cover today since you can only win ONE, and I think you will find more than one you love. Get ready for company over Thanksgiving or Christmas by using a holiday pillow in your guest room. There is also a huge selection of Halloween designs. Here's how to enter for a total of SEVEN entries. All seven entries require a separate comment on this blog post... a maximum of seven individual comments. Be sure that you are NOT a "no-reply" commenter so you can be reached if you win. I get many no-reply comments every day. So, please double check that you are not a no-reply commenter. Entry #1: Leave a comment on this post telling me where you would use a pillow if you win. Entry #2: Go to Elliott-Heath Designs Etsy shop and browse through all the almost 500 choices. Come back to Botanic Bleu, and leave a comment on this post telling which pillow cover you would like to win. Give the pillow design number. Entry #3: Visit Elliott-Heath Designs Instagram. Come back to Botanic Bleu, and leave a comment on this post saying you visited Elliott-Heath on Instagram. Entry #4: Visit Elliott-Heath Designs Pinterest. 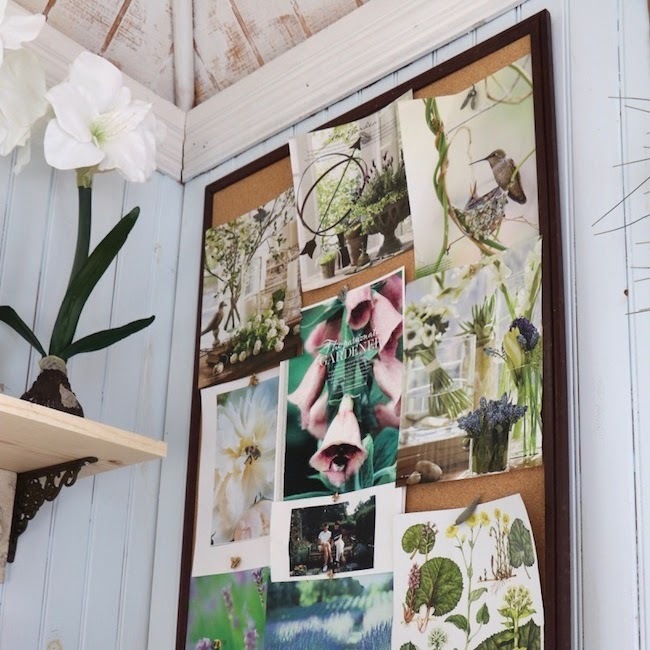 Come back to Botanic Bleu, and leave a comment on this post saying you visited Elliott-Heath on Pinterest. Entry #5: Visit Elliott-Heath Designs Facebook. 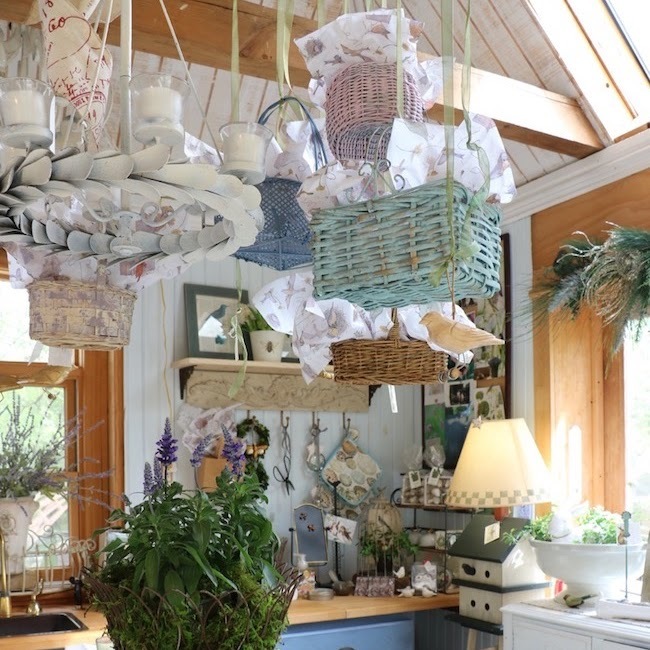 Come back to Botanic Bleu, and leave a comment on this post saying you visited Elliott-Heath Designs on Facebook. Entry #6: Visit Botanic Bleu's Pinterest Board, Fall. 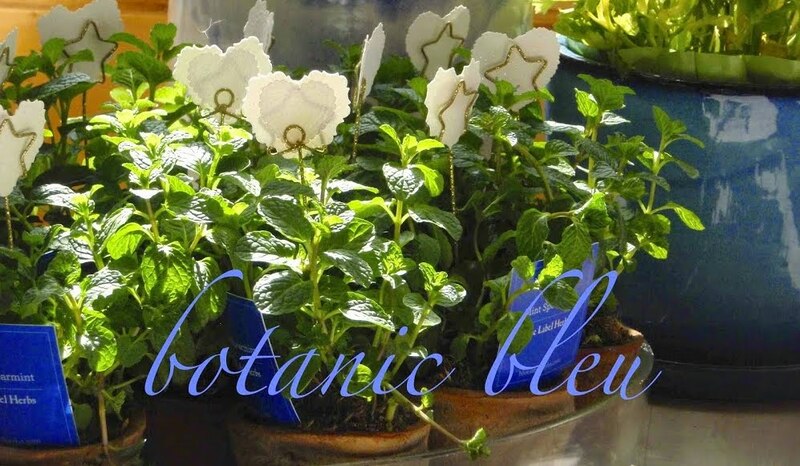 Come back to Botanic Bleu on this post, and leave a comment telling me you visited the board. Entry #7: Visit Botanic Bleu Instagram. Come back to Botanic Bleu on this post, and leave a comment telling me which photo on Botanic Bleu Instagram is your favorite. The winning comment number is #18 written by Lynn Bean who blogs at Quaker Hill Farm. The first winning comment number was #25 written by GrammaGrits, a "no-reply" email address. I did not hear from GrammaGrits by November 14, 2016, 6:00 p.m. (CST). 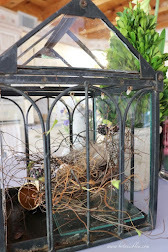 blog tour has two more days of fall inspiration to see. Here's the full schedule for this week. You are bound to find many photos you want to Pin. See my Pinterest board, Fall, for even more beautiful fall ideas. 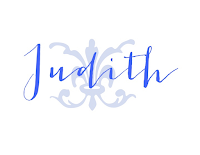 good morning Judith ... beautiful pillows and you have presented them so beautifully. I do love sunflowers because they are for all seasons. Wow. I just checked out their site and there are just so many beautiful choices. I picked Vintage Holiday Tree French Style Burlap Cotton Throw Pillow Cover CH-129. Love! I think I need to order one, but can't decide which one I like the most! Thank you for sharing these wonderful pillows and the source! One of my very favorite flowers, the sunflower. It isn't as pretentious as some flowers. 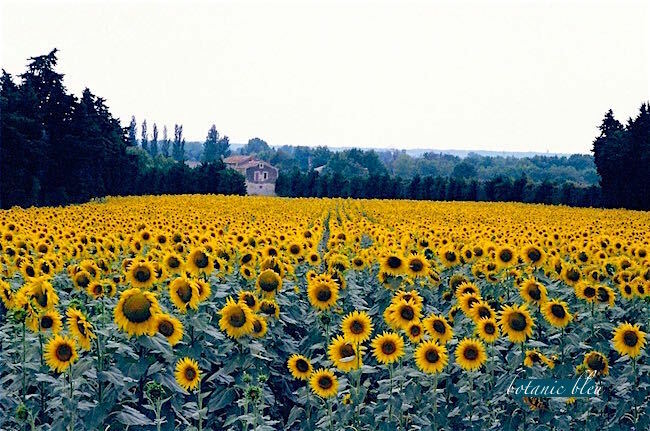 I also fell in love w/the sunflower in the Provence 2 summers ago when I turned 70! I would use the pillow in the house we are buying in the US (we presently live in Europe). I think I would use it on my east facing porch! These are beautiful, love the detail. Sunflowers are perfect because they always make me smile. Beautiful and of course I am so partial to Sunflowers, I love the ones that grew so happily in the garden this summer. These are gorgeous. I've seen them before and would love to win one. I think I might have to chose a Christmas design. I'd love to see the sunflowers in Provence. It is on my bucket list. I love all of the pillow designs. Would love to have one on my living room couch. I love the Irish pillow #EHD0005. Beautiful pillows! We just put a roof over our front deck and I would put a pillow out there! Oh my! I would use this pillow in my bedroom to just top it off perfectly! How beautiful. These pillows are just lovely! I would use one on my garden porch! That would be beautiful there. After looking at the Etsy sight, it was not difficult to choose! I loved the first one I saw (HA-53). I have a real affinity for seed catalog ideas! Just visited the Instagram sight! Loved the Christmas Santa pillow! Nice to know they also do specialty pillows. Congratulations, Lynn. You are the winner of the Elliott-Heath Designs pillow cover. Heather, owner and designer of Elliott-Heath Designs, is excited and can't wait to hear for certain which pillow cover you choose. Visited Pinterest and followed the Elliott-Heath boards. Also pinned the fall pillow covers. Just visited the Facebook page for Elliott-Heath designs! Just visited your FALL Pinterest board and pinned from this board! Since I love to paint, I would say my favorite Instragram photo from your page is the Paris rooftops and Eiffel tower photo! Would love one to use on my sofa!!! Love the 4th of July "Let Freedom Ring" pillow cover. Our oldest is a firecracker, born on the 4th! Visited Elliott-Heath on Pinterest and followed! You are the winner of the Elliott-Heath Designs pillow cover of your choice. Please contact me by clicking on CONTACT listed under my header picture. Send me your contact information that includes your full name and email address. I'm excited to see which design she picks! 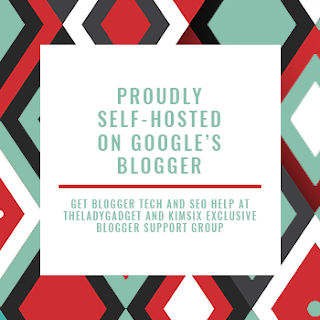 Thank you so much for this lovely feature, and for the opportunity to share my work with your readers. I've added several new Christmas designs in shades of blue at your suggestion, so be sure to come visit over the next week or two as they are all prepared and put on Etsy! Unfortunately, GrammaGrits did not contact me. The winning comment is #12, written by Lynn Bean who blogs at Quaker Hill Farm. Visited Botanic Bleu's Pinterest Board, Fall. Visited Botanic Bleu Instagram. Hoping to win!!! I would love to use this in my living room! 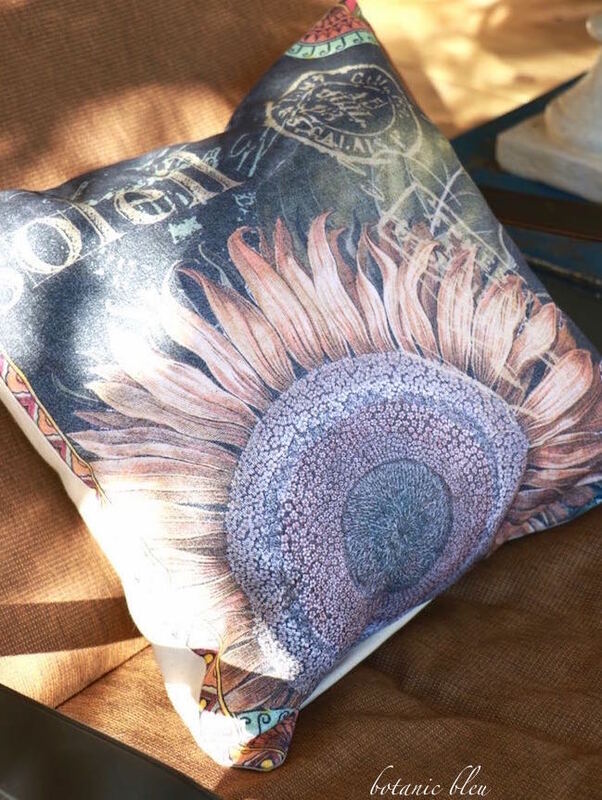 I love the sunflower pillow...t'would look lovely in my goldy/brown/brick red den! I really enjoy living in sunflower country. We are "cruisers", and one of our favorite country rides is out through the sunflower fields! 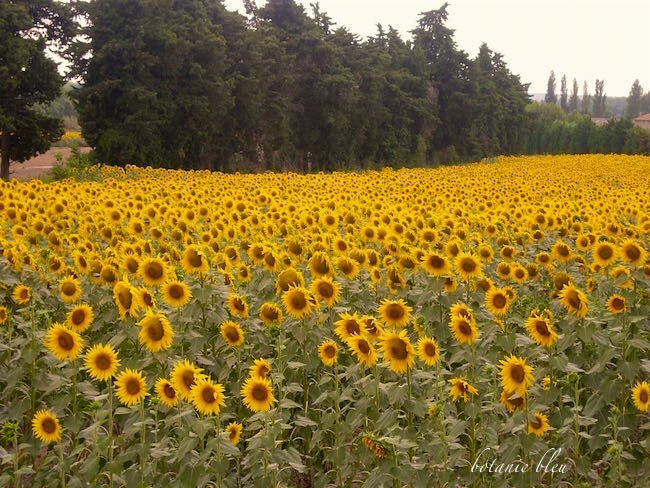 I have a photo I took in the Provence that reminds me of the sunflowers in your blog! Beautiful! My first choice is BE-05, the French spring honey bee on document burlap. Oh, so many wonderful designs! Visited Elliott Heath on Instagram and now following. Visited EH Designs on Pinterest and have followed them there for some time now. Visited Elliott Heath on Facebook. Their posts are inspiring! Visited your Fall board. 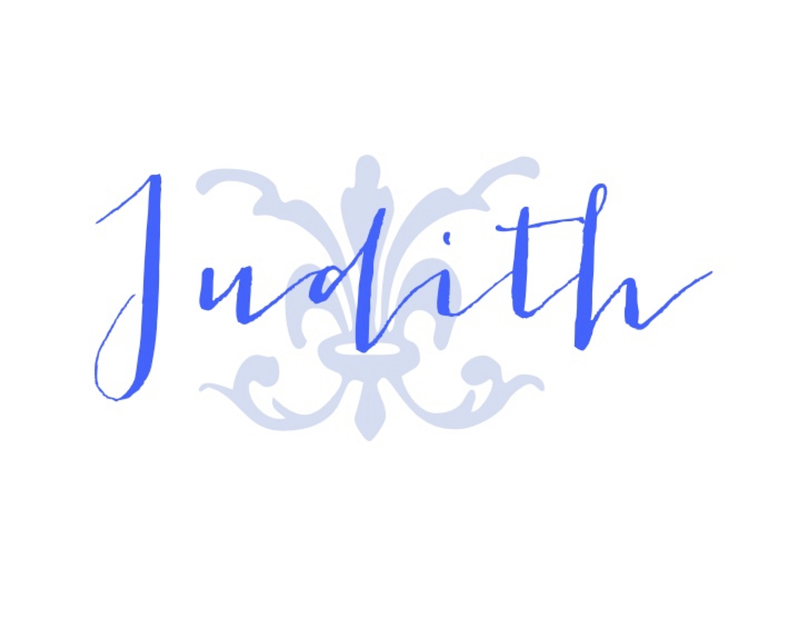 Wonderful inspiration, Judith! Visited Instagram. I want to pop that raspberry tart right in my mouth. Yum! Thank you for sharing! Love the vintage spring honey bee BE-06.